Oh-so comfortable bed linens and hand-crafted accessory furniture. Made to meet our standards and exceed your expectations. Buy now and save more. Our factory direct prices and free delivery mean you can't get a better bed for less. Extra savings make now the best time to buy. Free shipping to most continental US addresses on orders $299 or more. The built in steel structural support used in our beds is guaranteed against manufacturing defects for as long as you own it. We use non toxic adhesives and finishes as well as plantation grown hardwoods and upcycled metals. 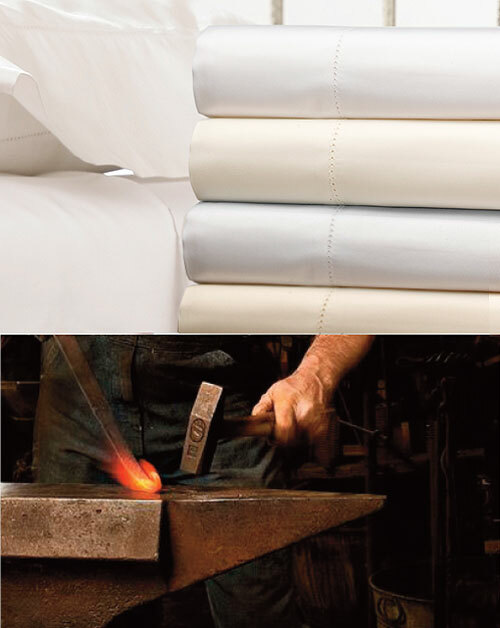 What makes our bed linens different? High thread counts make our fabrics soft and comfortable yet very substantial and long wearing. Dimensions are generous with oversized flat sheets and extra deep pockets on fitted sheets. Details and finishings are executed to the highest standards. What makes our tables and benches better? A tradition of unsurpassed craftsmanship. Original designs. Top quality materials. Made in our own factory, not outsourced. Heirloom quality with great prices. I have ordered two of the Madera platform beds, one in queen and one in king, both in tiger mahogany. 400 thread count, single-ply weave. Hemstitched detailing on the top sheet and pillowcases. Fitted sheets have deep pockets with full elastic easily fit modern, thicker mattresses. Queen and King extra deep option is available for a proper fit on extra thick mattresses. Pillowcases come in standard and king size. 400 thread count high thread count, single-ply weave. Generously proportioned to fit a variety of duvet/comforter thicknesses. Duvet cover has 6 millimeter stripe on both sides. Pillow shams have full flange and generous flap closure. Adjustable fit for foundations/box-springs from 15" to 19" from the floor. Daybed skirts include panels and on all 4 sides and a reinforced top panel. 16" drop from bottom of mattress. More About Tables and Benches. Forged iron components are solid iron bar, heated and hammered to shape by hand. Details are precise and fully formed. Solid metal to metal connections create an extremely rigid framework. Finish is applied by hand and repairable shoudl it get damaged. Finish applied by hand in layers for a soft, natural patina that is repairable.